For those of you interested, they are hosting a special dinner on Wednesday evening as part of the Food Day event. The Food Day even is organized around the country to promote real health local food. 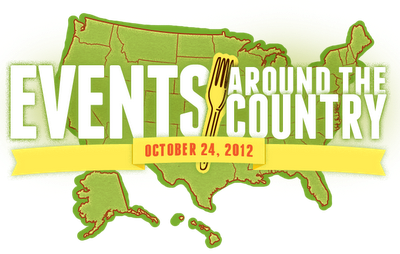 For those of you who live to far away, try to find an event close to you... or just commit to eat real on that day. Now if you can combine real and only vegetarian food on that day, you would score even higher! Bon Appetit!